Among premium travel credit cards, the U.S. Bank Altitude Reserve Visa Infinite® Card is the cream of the crop. Though it hasn’t yet made the cut for our highly selective, ever-changing list of the best travel rewards credit cards on the market, it’s a perennial contender. True to its name, Altitude occupies the same rarefied air as other premium travel cards, including The Platinum Card from American Express and the Chase Sapphire Reserve Card. Like those who carry the Platinum Card and Sapphire Reserve, Altitude cardholders can look forward to a bevy of valuable benefits for domestic and international travelers: complimentary airport lounge access, generous travel credits, impressive point-earning and -redemption rates, and special benefits and discounts with a host of travel partners. Those perks come at a price. Altitude’s annual fee is $400, and it costs an additional $75 per year to add an authorized user. If you travel regularly and can take full advantage of this card’s substantial benefits, $400 per year is a bargain. If you’re an occasional traveler with a modest budget, there are slimmer cards with your name on them. And if you’re not quite sure whether Altitude is right for you, read on – we have the lowdown right here. The easiest way to meet this qualification requirement is to open a low-cost U.S. Bank checking or savings account. When you spend at least $4,500 in qualifying net purchases within the first 3 months, you get 50,000 bonus points. That’s worth up to $750 when redeemed for travel purchases. You earn unlimited 3 points per $1 spent on qualifying purchases with airlines, hotels, car rental agencies, and other enterprises that classify themselves as travel merchants. You also earn unlimited 3 points per $1 spent on all purchases made with qualifying mobile wallet services, including ApplePay, Android Pay, and Samsung Pay. You’ll earn unlimited 1 point per $1 spent on all other qualifying net purchases. Points accrue as long as your account remains open and in good standing – check your account disclosures and cardmember agreement for more details on expiration. You can redeem your accumulated points for statement credits against purchases made with your Altitude card at a ratio of $0.01 per point. You can also redeem your points for qualifying travel purchases at a higher rate – $0.015 per point. With the Altitude mobile app, you can redeem points instantly for virtually any purchase made online or in person. Automatic Travel Credits Up to $325 Per Year: When you charge travel purchases to your Altitude card, U.S. Bank automatically applies travel credits (via monthly statement credits) against them, up to a total credit limit of $325 per year. The merchants with which you can earn these credits are identical to the merchants from which you earn 3 points per $1 spent on travel purchases. Complimentary Priority Pass Select Membership: When you open your account, you’re automatically enrolled in the Priority Pass Select airport lounge access program at no additional charge for a period of 12 months. Altitude’s version of Priority Pass Select entitles you to 4 free airport lounge visits per year, including complimentary admission for a ticketed traveling companion not included in the membership. Subsequent airport lounge visits cost $27 per person, per visit – a discount of roughly 50% off face value. More than 1,000 lounges worldwide participate. TSA PreCheck or Global Entry Application Fee Credit: You can claim a statement credit against the cost of your TSA PreCheck or Global Entry application fee, up to $100 per application. Silvercar Benefits: When you rent an Audi A4 from Silvercar for longer than two consecutive days, you get special discounted rates (variable) and benefits at no additional charge. GroundLink Black Car Service Benefits: You’re entitled to discounted black car service from GroundLink, a multinational livery service with operations in more than 110 countries. Relais & Chateaux Benefits: You’re entitled to special privileges and perks at more than 500 upscale Relais & Chateaux hotel and resort properties worldwide, including complimentary breakfast and VIP welcome. Benefits are limited to the first seven days of longer stays. Complimentary GoGo WiFi: Enjoy up to 12 complimentary GoGo in-flight WiFi passes per year. Depending on flight length and carrier, this perk can easily cut your in-flight WiFi costs by $200, and possibly more, when fully utilized. Visa Infinite Concierge: Enjoy 24/7 access to the Visa Infinite Concierge, a white-glove service reserved specifically for Visa Infinite cardholders. The concierge can help you snag hard-to-get reservations, book complex travel maneuvers, find interesting things to do in exotic destinations, and more. If you have a U.S. Bank consumer deposit account, you can link it with your Altitude card for protection against checking account transactions that would normally result in overdrafts or NSF failures. Once you opt into this service, such transactions are executed as normal. U.S. Bank then draws a cash advance on your credit line to cover the shortfall, usually in $50 increments. Depending on your deposit account’s terms, you’ll likely be charged a deposit account fee for this service, and the full balance of your transfer will begin accruing interest immediately at the cash advance rate. It’s therefore in your best interest to use overdraft protection sparingly and pay back transfers as soon as practically possible. This card comes with some additional benefits backed by Visa. This isn’t a complete list – review your cardmember agreement and account disclosures for more details. Travel Accident Insurance: This form of travel insurance coverage provides compensation in the event that you’re seriously injured or killed while traveling with a common carrier. It’s fairly restrictive – check your cardmember agreement for details. Extended Warranties: You’re entitled to extended warranties on certain items purchased and paid for in full with your Altitude card, subject to dollar value and warranty length restrictions. Complimentary Rental Car Insurance: You’re entitled to complimentary loss and damage coverage on car rentals paid for in full with your card. This protection kicks in only when you decline the merchant’s offer of coverage. ID Theft Protection: If your personal information is compromised, you’re entitled to certain services and reimbursements for your trouble. This benefit doesn’t cover every eventuality that can arise out of identity theft, so you may want to purchase auxiliary coverage as well. Trip Interruption and Cancellation Coverage: This travel insurance benefit provides a slew of protections and financial reimbursements in the event that your trip needs to be cancelled or interrupted for a covered reason. The annual fee is $400. Additional cards for authorized users cost $75 per user, per year. There’s no foreign transaction fee or fee for overdraft protection transfers. Cash advances cost at least the greater of 3% or $5. Balance transfers always cost 3% or $5. Travel Fee Credit Nearly Offsets Annual Fee. As long as you spend at least $325 per year on travel purchases with U.S. Bank Altitude Reserve Visa Infinite card, you’ll max out your travel fee credit allowance – and nearly offset the card’s $400 annual fee in the process. Unlike some premium travel cards, Altitude is flexible about how and where you use your travel credits – you’re not required to limit your credits to a specific travel merchant, such as an airline or hotel company. Very Good Sign-Up Bonus. This card’s sign-up bonus is worth up to $750 when redeemed for travel. 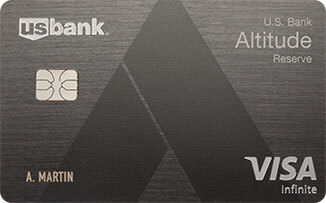 That’s close to the head of the pack among premium travel rewards credit card sign-up bonuses, and a major incentive to front-load your spending as soon as you get your hands on your new Altitude card. Excellent Earnings on Travel. Altitude earns unlimited 3 points per $1 spent on virtually all travel purchases. When you use those points to pay for award travel, you’ll snag a 4.5% return on spending – one of the industry’s best. Solid Redemption Values on Travel. When you redeem your accumulated points for award travel, you boost their value by 50%. It’s therefore a no-brainer to save them up until you’re ready to make your next travel buy – whether it’s a destination honeymoon or quick weekend trip to your favorite outdoor vacation spot. Nice Airport Lounge Access Benefits. Altitude’s complimentary 12-month Priority Pass Select membership entitles you and one ticketed guest to up to 4 free airport lounge visits each year. That’s worth nearly $500 off full-price admission. After you use up the 4 complimentary visits, you and a guest get discounted access at $27 per person, per visit. This benefit is valid at more than 1,000 locations worldwide, so you’re likely to have no trouble finding a suitable lounge wherever you are. Global Entry Credit Saves Up to $100. Skip the security line and pay nothing for it with this benefit. The TSA PreCheck application credit is worth up to $85, but Global Entry is fully covered too, so you might as well spring for that. Travel Merchant Discounts and Perks Can Save Hundreds Each Year. Between GroundLink, Silvercar, and Relais & Chateaux, Altitude has lots of travel merchant partners. If you use these services reliably, you’ll reap hundreds of dollars in value each year. Up to 12 Complimentary In-Flight WiFi Sessions Per Year. Altitude comes with up to 12 complimentary GoGo in-flight WiFi sessions each year. On longer domestic flights, such sessions can cost more than $20 a pop. When fully utilized, then, this benefit could be worth well over $200 per year. No Foreign Transaction Fee. This card waives foreign transaction fees, giving cardholders the green light to spend freely overseas. If you regularly travel outside the United States, this benefit can reduce your out-of-pocket travel expenses by hundreds each year. Very High Annual Fee. U.S. Bank Altitude Reserve Visa Infinite Card has a $400 annual fee. For frugal travelers who only occasionally jet off to new places and don’t take full advantage of this card’s generous benefits, that’s likely prohibitive. Competing cards, such as the Chase Sapphire Preferred Card and the Citi ThankYou Premier Credit Card come with fairly generous benefits at a much lower price point – less than $100 per year in both cases. High Authorized User Fees. Want to turn your Altitude account into a family affair? It’ll cost you $75 per person, per year. Add 2 authorized users and you’re up to $550 in total annual fees. 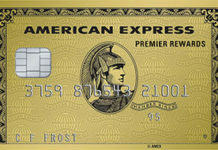 The Platinum Card from American Express, a popular competitor, doesn’t charge authorized user fees. No Point Transfer Arrangements With Other Travel Merchants. This card doesn’t have any point transfer arrangements with travel loyalty programs. Such arrangements are among the signature benefits of many a premium travel rewards card, including Chase Sapphire Reserve and the Marriott Bonvoy Business™ American Express® Card. Both boast 1-to-1 point transfer deals that greatly increase cardholder flexibility. Low Earnings on Non-Travel Redemptions. Aside from travel purchases, Altitude’s return on spending is pretty anemic: just 1 point per $1 spent. If you’re looking for a travel card with better earnings on a wider range of purchases, check out Barclays Arrival® Plus World Elite Mastercard®. It earns unlimited 2 miles per $1 spent on all purchases – a 2% rate of return on spending. Requires an Existing U.S. Bank Relationship. Though this is subject to change in the future, Altitude is currently only available to applicants with an existing U.S. Bank relationship, such as an active deposit account, loan, credit card, or private banking arrangement. The path of least resistance is likely to open a basic checking account or credit card, but that still requires extra time and effort (and may carry additional fees, such as monthly maintenance fees for your bank account). Most competing premium travel cards don’t have this pre-existing relationship requirement. The U.S. Bank Altitude Reserve Visa Infinite® Card is not for everyone. With a $400 annual fee and $75-per-person authorized user fees, it’s designed for frequent travelers with ample budgets and the organization necessary to take full advantage of its various perks and benefits. Low-maintenance it is not. The U.S. Bank Altitude Reserve Visa Infinite® Card is an exclusive travel rewards credit card built for frequent, well-heeled travelers. The ideal user is an individual or family who regularly travels overseas and frequently utilizes partner merchants and services, such as Silvercar and Relais & Chateaux hotel and resort properties. Altitude isn’t designed for frugal or occasional travelers, for whom the annual fee is likely overwhelming, nor those with little interest in pursuing a relationship with U.S. Bank specifically to get their hands on this card. Key benefits include a generous travel credit scheme ($325 per year with no merchant restrictions), very good sign-up bonus, excellent earning and redemption rates on travel, good airport lounge benefits, generous partner merchant discounts, complimentary in-flight WiFi, Global Entry or TSA PreCheck fee credits, and no foreign transaction fees. Drawbacks include the $400 annual fee, $75-per-person annual authorized user fee, no point transfer allowances, the pre-existing relationship requirement, and low earnings on non-travel purchases. Overall, Altitude is an amazing card for frequent travelers who can afford it and take full advantage of its benefits. For everyone else, it doesn’t make much sense.